Open air accommodation 20 metres from the beach. Looking for a campsite in Loire-Atlantique, for a feel-good holiday with your partner, your family or a group of friends? Your campsite at Saint-Michel-Chef-Chef is ready and waiting to meet your every wish. 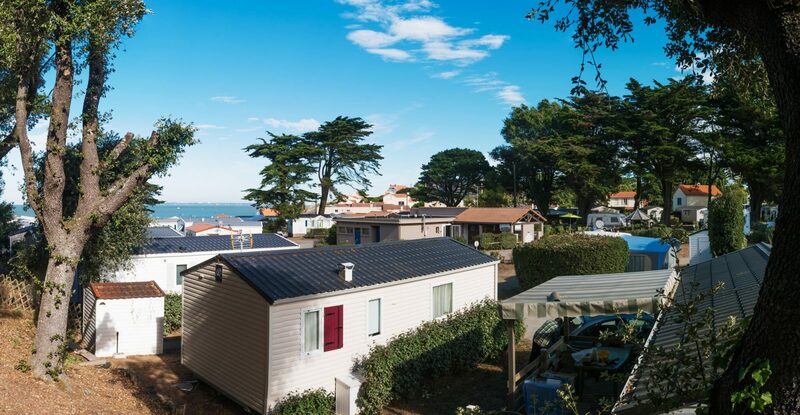 It lives up to the promise of its name: just 20 metres from the ocean, the Camping du Bord de Mer guarantees you a holiday right beside the seaside! 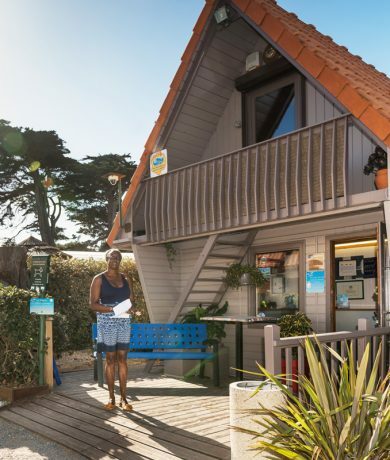 Adèle and her team will ensure you make the most of your holidays at Camping du Bord de Mer, which has held the Camping Qualité label since 2012. Its 1.56 hectares give you the choice between the 62 rental units and the 26 pitches, on a campsite small enough to have the personal touch, with afriendly atmosphere, surrounded by trees, flowers and above all, peace and quiet.. Mobile homes, chalets, gipsy caravans, lodges and camping pitches will provide the perfect solution, whether you’re a big fan of traditional camping or a lover of home comforts. 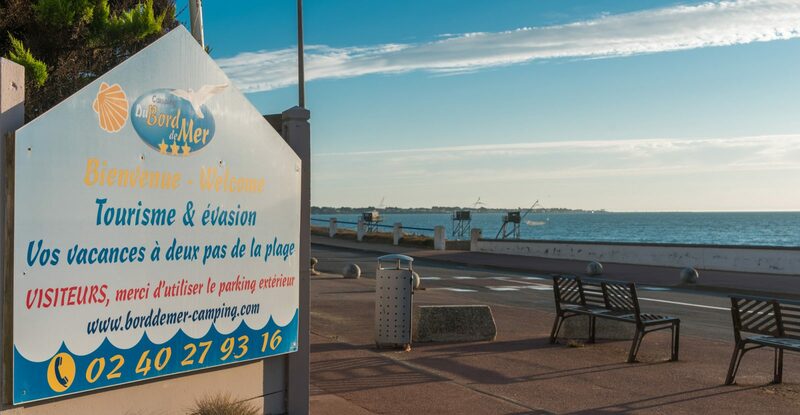 And as extra treats for you and the kids, Camping du Bord de Mer also has a heated indoor pool, a multi-purpose hall and a snack bar with sea views! 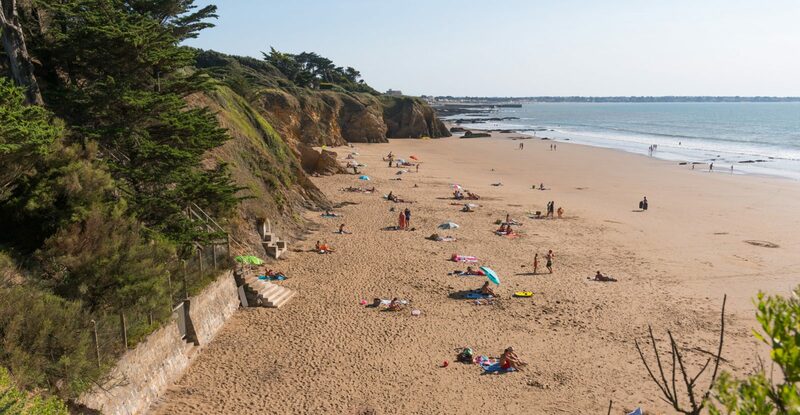 At the forefront of the Pays de Retz on the Jade Coast, the seaside resort of Saint-Michel-Chef-Chef holds Pavillon Bleu (Blue Flag) status and is designated a Ville Fleurie and a Station Verte. 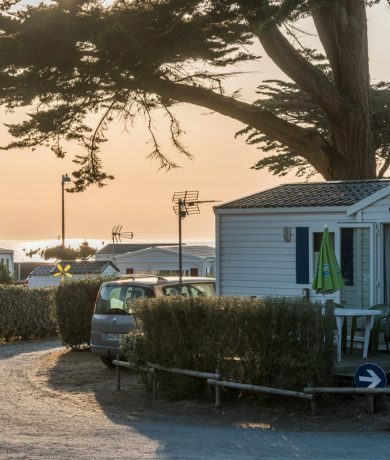 Situated between Southern Brittany and the Vendée, 60km from Nantes, your seaside campsite Camping du Bord du Mer is a prime destination on the Loire-Atlantique coast. Whether you’re holidaying with family or friends, everyone will be impressed by the variety of activities accessible to all: the beach, surfing, windsurfing, shellfish gathering and fishing, country walks and cycle rides… there’s something to please everyone. And if you like the idea of having a permanent hideaway, please ask us about buying your own mobile home, new or pre-owned! Do not miss any events at the campsite or in the surrounding area! Camping Bord de Mer Camp site 20 m from the beach. Tourism and waterfront escape!